Over the last couple years, ride-sharing platform Lyft -- recognizable by its pink mustache logo -- has quickly transformed from a scrappy startup to a full-fledged company. The service uses a mobile app to connect people looking for a ride with drivers -- who can be anyone wanting to make a little extra money by picking people up. Based in San Francisco, it’s now available in 31 states and most recently launched in New York. With 300 employees and $330 million in funding from prominent Silicon Valley investors, Green, 31, is constantly on the move. And when he's not running the company, he's moonlighting as a Lyft driver, picking up passengers on the go. I wake up and walk down the street to the gym. I typically work out 20-30 minutes every morning to get the day started. 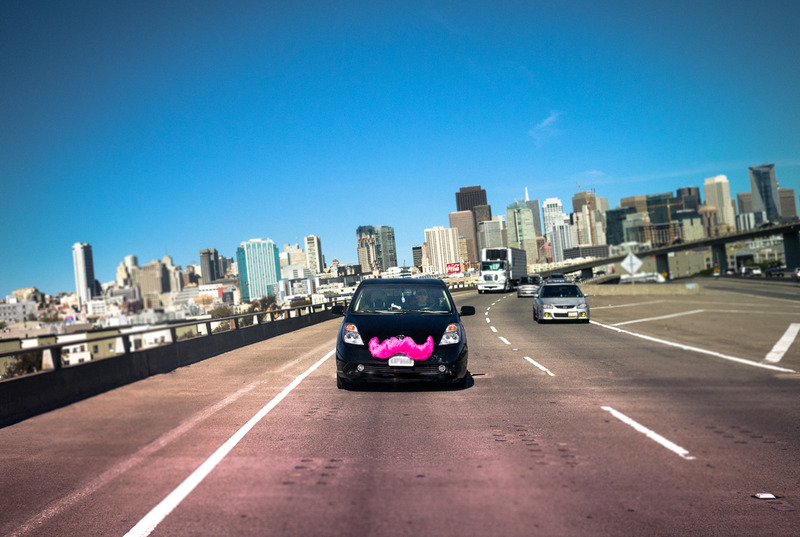 Grab a Lyft and head into the office. To get to the office every day, I either take a Lyft or have my wife drop me off. It's about a 15-minute drive from my house to the office. Today we're moving from our temporary office in SoMa into our new long-term home in the Mission. The team is meeting at the SoMa office and walking together across town to our new space. This walk allows us to close one chapter as a team, and transition together to the next. First day in the new office. Everyone is excited and settling in — it feels a bit like the first day of a new school year. We have an open office layout and I love that you can feel everyone's energy almost immediately. We decorated the entry and front desk area with pool noodles wrapped in pink fabric to make it feel as though you are walking through the pink mustache upon entering the office. Sync with Peter, my Chief of Staff. I start every day reviewing priorities, prepping for meetings, and getting updated on key projects. Weekly 1:1 with Krish, our VP of Finance. Krish is building up his team and today we're discussing a couple of candidates. My weekly market review meeting with the data team. Last week we launched 24 cities in a single day, so there are a lot of new markets to check in on. This data team is responsible for market health across all of Lyft's 60 cities. Lunch with the team. 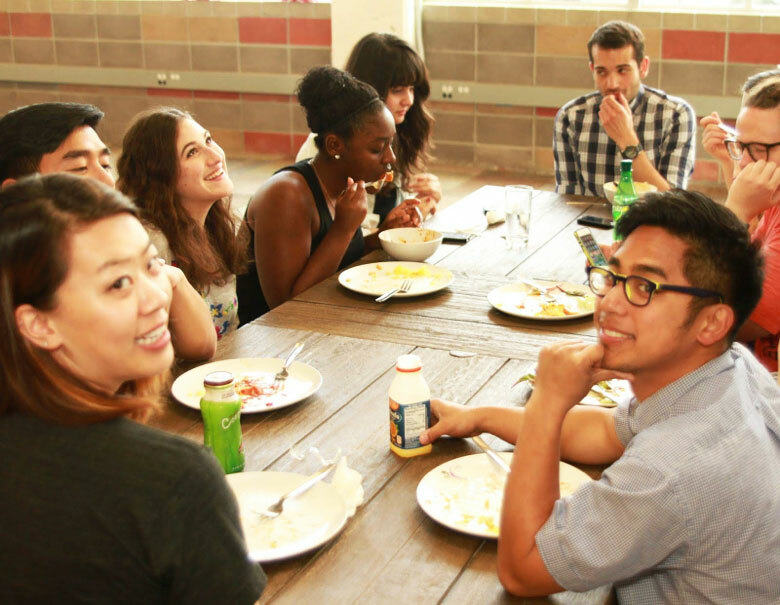 Everyone eats together in a communal area - it's a tradition we've had since our early days. I've always been impressed with how something as simple as group lunch brings the team together, even as we're quickly approaching 300 employees. The company offers lunch each day, and it's served buffet style in the open eating area. I try to block a couple of hours of unscheduled time every day, so that I can work on the day's most important projects. Today, I'm using this time to work with a small group from the engineering team on a stealth, long-term project that will have a big impact on the company down the road. Final stage interview with a senior engineering candidate. 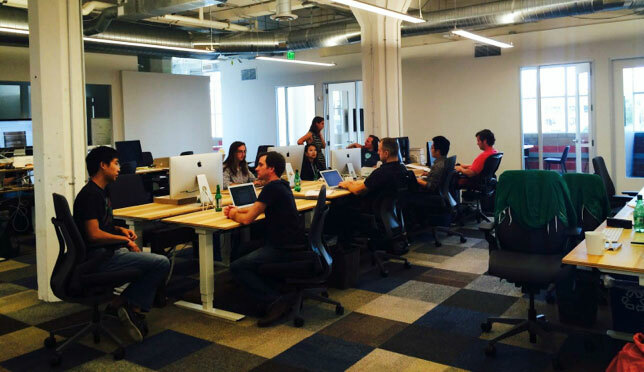 Hiring senior engineers is a top priority as the company grows. 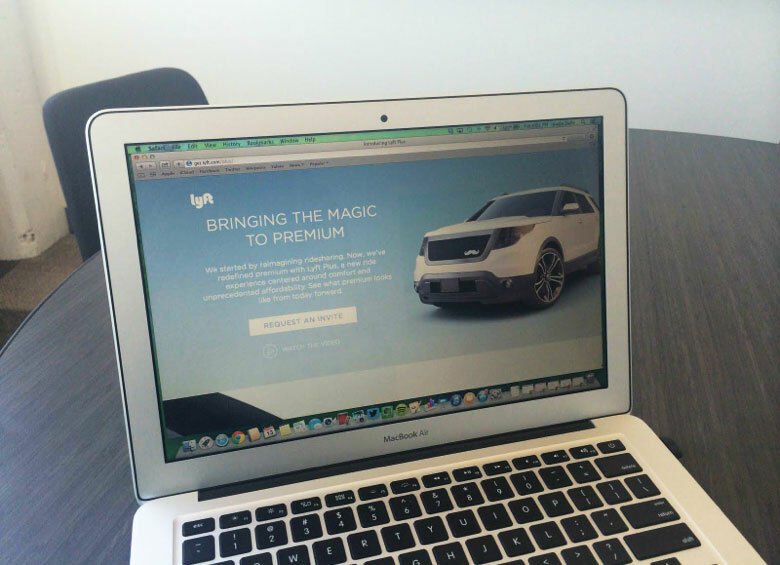 Reviewing operations and product details for a new offering — Lyft's modern take on a premium ride experience. It's something several of the teams have been working hard on for months, and we're opening up a waitlist to passengers who want to try the new service this week. 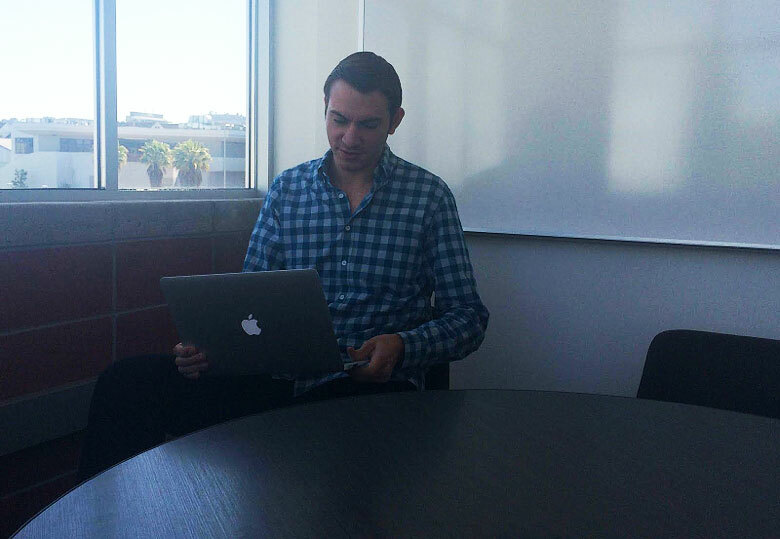 My co-founder John and I quickly review notes for the All-Hands, our bi-weekly meeting with the whole team. 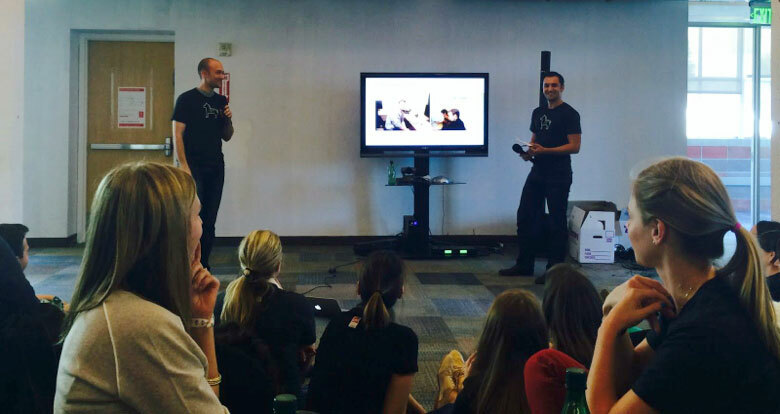 John and I speak at our first All-Hands in the new office. The meetings, which serve to update the entire team on our most important metrics and announcements, usually open with Paul, one of our earliest team members who has done a great job as unofficial driver of team culture, introducing — and roasting — each new team member. Today's transition was a great opportunity to talk about company history. In the last year the team has grown from 50 to 250, so most people on the team haven't heard the history of how we started out in the “Apartffice” in Palo Alto (our old apartment that doubled as the company's first office). 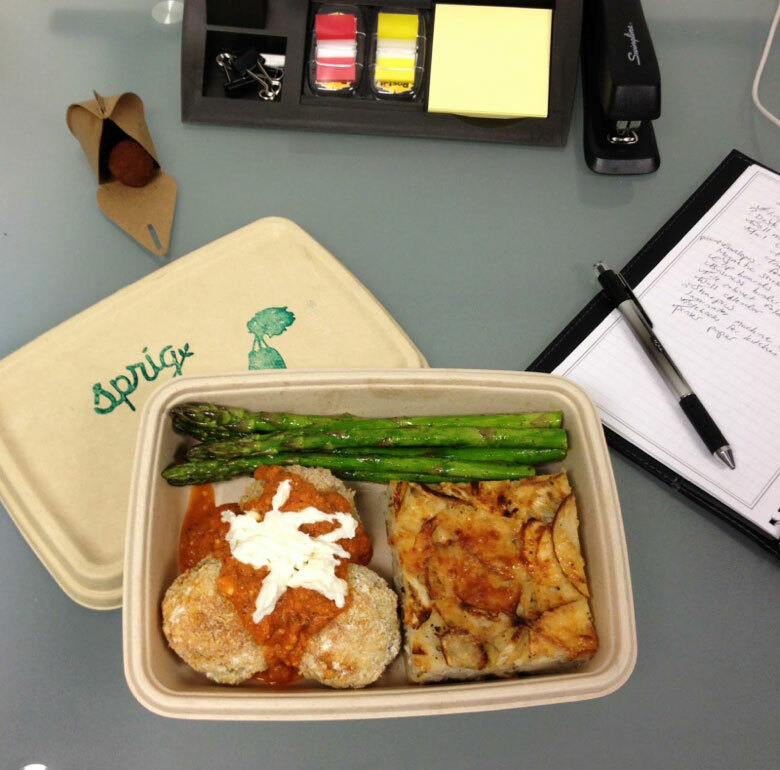 Ordering dinner from Sprig, a new on-demand food delivery service, for myself, John, and other team members staying late to work on projects. Lyft home for the night. Continue replying to emails. I receive a couple hundred every day, so this is my time to get caught up after the day's meetings.